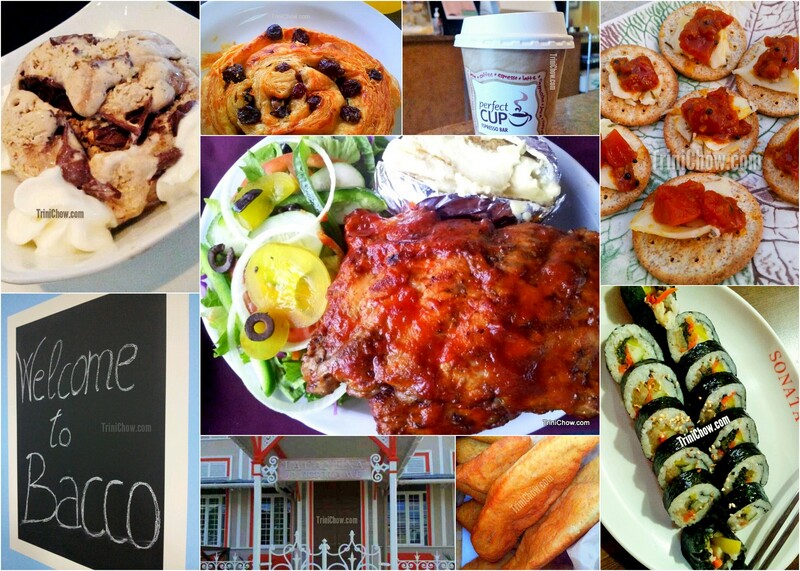 2012 was a great year for food in Trinidad & Tobago! By our count, over a dozen new restaurants opened, local food options expanded with increased gourmet and specialty markets, and CNC3 launched a new local cooking show, TASTE hosted by chef Ian Rooks and Conrad Parris. #1 Crab & Dumplings at Chaud Creole (St. Anns, Trinidad) – Once again, Chaud Creole has served up edible proof that fine dining and local food are synonymous. Crab & Dumplings here are deftly elevated to delicious heights — melt-in-your-mouth gnocchi dumplings and savory crab goodness in a light coconut curry sauce. Link to our Chaud Creole pictures. #2 Dolce Valle’s Rosemary Cheese + Sumptuously Orgasmic Tomato Chutney on Crix crackers – We’re totally mad for this snack and love to serve it as a party hors d’oeuvre. And, the recipe is so easy: pair everyone’s favorite crackers with Dolce Valle’s woodsy rosemary cheese and top it off with Sumptuously Orgasmic’s delicious tomato chutney. #3 Gelato at Ciao Cafe (Scarborough, Tobago) – Make the trip into Scarborough for Tobago’s sweetest diversion and you’ll see Tobagonians and tourists queuing up for Ciao Café’s traditional, fruit-based (we’re partial to the blueberry and strawberry) and boozy gelato flavours like Wine & Raisin. The bonus here is that you can enjoy great pizza next door at Ciao Pizza! Link to our Ciao Cafe gelato pictures. #4 Cappuccino at Perfect Cup Espresso Bar (Woodbrook, Trinidad) – Coffee lovers will love this standout neighborhood coffeehouse, which cranks out mean cappuccinos made from Trinidad’s best coffee blends. In 2013, Perfect Cup will continue to be our go-to coffee spot in the West. #5 Mona’s Roti (Marabella, Trinidad) – No roti shop turns out more silky, soft roti and buss up shut than Mona’s across from the Marabella Police Station. No frills as it should be, Mona’s is worth the trip past the lighthouse or if you live in South, Mona’s is probably already tops on your roti list. #7 Desserts at Tablespoon Coffee & Dessert House (St. Augustine, Trinidad) – This cozy coffeehouse was the best foodie thing in 2o12 to happen to St. Augustine! We absolutely love the coffee and the lineup of delicious desserts here – cheesecake, chocolate cake, cupcakes and more, all made in house. Link to our Tablespoon pictures. #8 Veggie Whole Wheat Pies from the Pie Man (Tobago) – A few months ago, we stumbled on the “Pie Man” in the Scarborough Market and after one bite knew that his hearty pies stuffed with crunchy vegetables were a true food find. #9 Gimbap at Sonata Korean Restaurant (Woodbrook, Trinidad) – As food obsessed folks with limited exposure to Korean food, we rejoiced upon sampling Gimbap for the first time. (It’s Korea’s answer to sushi — rice lightly seasoned with sesame oil and rolled with vegetables, egg, cooked fish, and/or meat.) And, the best part is that Gimbap is well suited for those reluctant to eat raw fish. #11 Pain au Chocolat, Pain aux Raisin, Palmiers at Peche Patisserie (Port of Spain, Trinidad) – We eat these pastries so often that they really deserve their own category on this list — “things we eat at least twice a week.” Nevertheless, Peche’s classic French pastries are take-out musts or you can make a full breakfast with the pastries and Peche’s lovely creamy Cassava & Saltfish or the Eggs Norwegian. Link to all our Peche pictures. #12 BBQ Ribs at Sails Restaurant & Bar (Chaguaramas, Trinidad) – Although there are many choices for ribs in Trinidad & Tobago, we can’t get enough of Sails’ finger-licking tender ribs. The bonus is that you get to enjoy the ribs (and some decent sides) along with a great waterfront view. I’m happy that you just shared this helpful info with us. Please keep us up to date like this. Thank you for sharing. Re #12: I believe you mean Sails is in Chaguaramas. As a CHAGUANAS resident, I can tell you there is no waterfront view. If you wish to be a go-to-guide to food and where to find it, you need to get your locations right. Yikes! Total typo on our part 🙂 Thanks for catching it and we’re fixing it now.